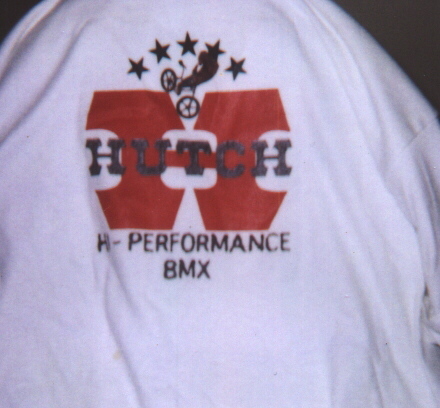 Another Hutch shirt. Not an original shirt. I did this one. A Wind Styler. 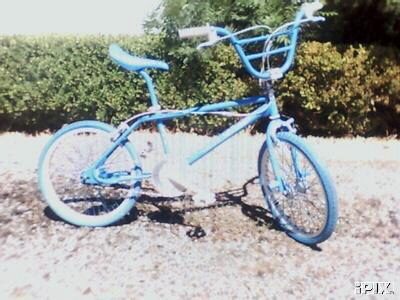 Possibly American made. 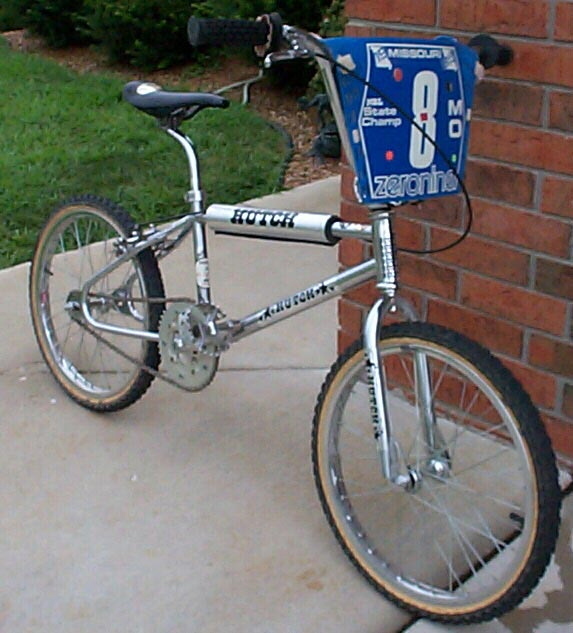 My friend had a Wind Styler that had a made in USA sticker on the seat tube. 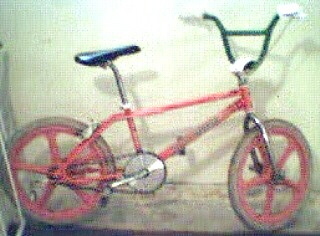 The forks looked just like Trick Star forks with the welded on pegs. 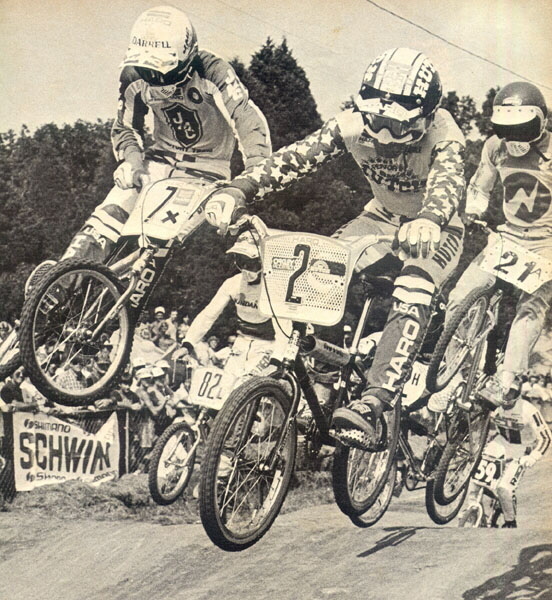 The guy who passed this picture on to me says it has a USA sticker on it. 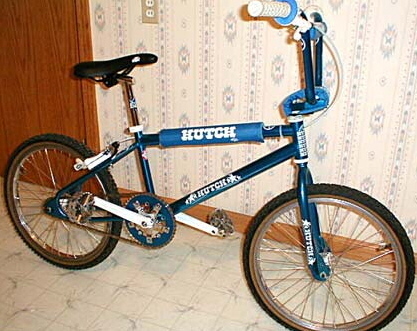 Don't know for sure whether or not Hutch made these in America. I think they may have made the first ones here then later all the rest were done in Taiwan. Or maybe they were always done in Taiwan. Nobody really knows for sure. 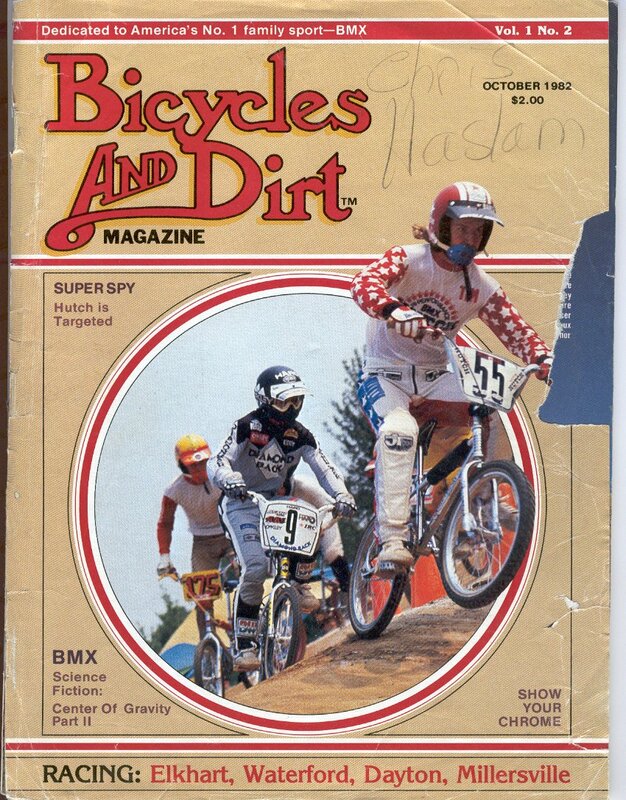 The cover of Bicycles and Dirt from 1982 with Tim Judge on the cover. 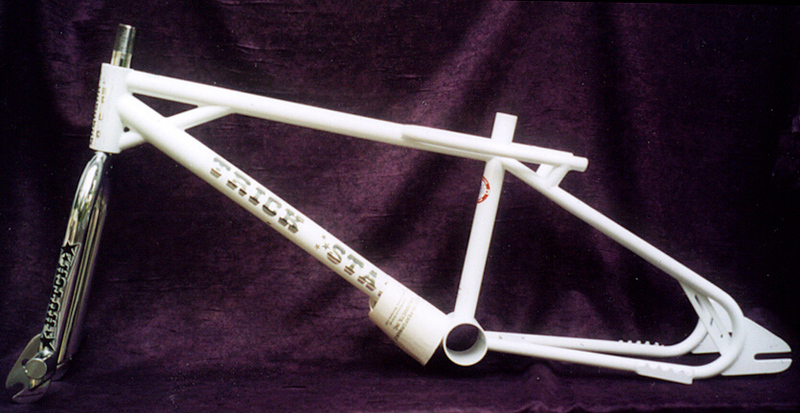 Here is what appears to be the original prototype Trick Star. 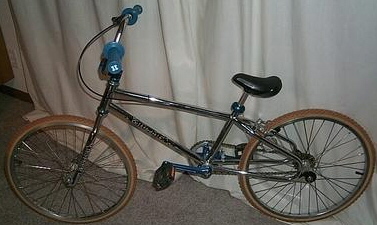 Notice the different head tube gusset and the coaster brake catch that was bolted on as well as the Wind Styler type standing platforms. Charlie Williams. Check out Darrell Young on the JMC! Style baby! 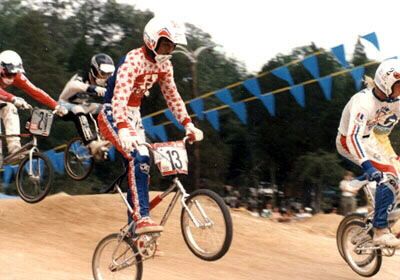 Style! 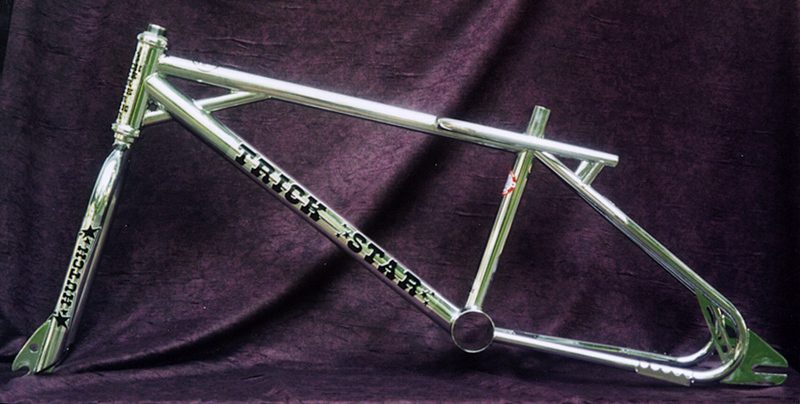 A chrome Trick Star. Perfect condition!